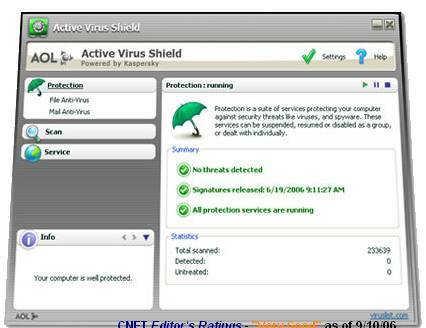 There is no need to be out of date with your antivirus, here is how to get Kaspersky powered software for free and save $49.00. I couldn’t believe it but AOL have joined with Kaspersky to provide antivirus for free. There are very similar the only difference is the price! Well for a starts its free! If you don’t know what some of this technical stuff means don’t worry its all good. So without further a do here is the link to Active Virus Shield.